As usual I received this book for free. This time it was from Kindle Firsts. I’m glad I did because it was a breathless four hours on the sofa. To describe this book in a nutshell, it’s one of those wonderfully ambiguous horror novels that mystify you with their gruesomeness as you’re reading and leave you with a big question mark at the end. 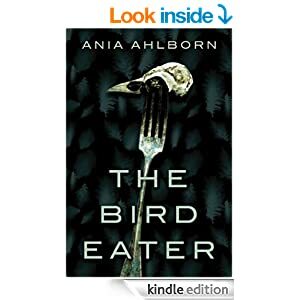 The novel is fairly gory in bits but not outrageously so and those with a passionate fixation for kindness towards birds would be well advised to steer clear because they are among the primary victims of unpleasantness. To the positive side, this book strikes a good balance between inspiring horror and providing background. The first chapter is vivid, cruel and horrifying in the extreme but after it gets you hooked things do settle down into a more standard pace. The author is clearly very practiced and proficient at descriptions of things that most of us just don’t want to think about. I came away with some very clear mental pictures of this evil that are likely to haunt my dreams for a while. The only negative I could really come up with is that while the over-arching story is fairly unique, some of the specific mechanisms that the author uses to get there are pretty standard. I can’t really mention… any of them… because I don’t want to spoil anything but I think you’ll know them when you see them. Despite this tiny, and I do mean tiny, negative, the effect of the author’s writing is still exceptionally strong. So many of you are saying, and rightly so, “so – the hell – what?” Yes, I agree that without proper context my titular declaration above is an utter non-event. In general, we all call our mothers fairly frequently until some unpleasant time should come to pass when such an act should be more akin to a Twilight Zone episode than a business engagement with AT&T. So yes, I agree, the epitome of anti-climax is persistently clinging to the gnarly underside of this blog post. I get it. Until very, very recently my mother (also known as the head lunatic) has been an annoying but tolerable pain in my expletive. Her random accusations that the entire town was attempting to put an end to her life was tiring at worst and amusing at best. Her constant paranoia was redundant, unfounded and entirely the product of a deranged mind. Clearly, her entire workplace was not part of a complicated scheme to ruin her life. Any logical person can see that her ex-husband was not driving past in a truck that he no longer owns. The neighbors were not spying on her and nobody had to poison her 15 year old dog to bring about its death. All well and good, harmless banter you may say. Indeed I would agree until I was recently implicated in this international crime ring dedicated to her ruination. I am simply amazed that this woman can have no self esteem whatsoever and simultaneously believe that so many people spend their valuable time harassing her and planning her destruction. In any case, I count this as final justification for disassociating myself from her and her idiotic ramblings. I leave this blog entry as the final memorial to the hysteria that is my mother. Me: I’m not sure how you can possibly say that. Me: Why would they hate you? Mom: Because I’m a terrible person. Mom: Just grand. That’s sarcasm if you can’t tell. Me: So I gathered. So what have you been doing with yourself? Mom: Not much. I got laid off four months ago and I just lay in bed most of the day. Me: That’s too bad. Have you had any job prospects? Mom: Nope. Haven’t tried to find any. Do you have a gun I can borrow? I want to just end it all and be done. OK, so you get the idea. As it turns out, she actually had a job at Wal-Mart in those four months stocking shelves. She quit because it was too physically demanding. I can understand that. After a while she actually seemed to almost joke a bit about how she didn’t like going to Wal-Mart just to shop so she must have been crazy to actually get a job there. What really gets me here is just the leaden blanket of depression that hangs over her. She’s absolutely identical to the person I talked to over seven years ago. Not one iota has changed. She’s still depressed and paranoid and absolutely convinced that the world is out to get her. Everyone hates her. Everyone’s out to get her. Nobody’s on her side. I can’t imagine what it must be like to live in a miasma of self-loathing as she does. All her negative emotions are turned inward until there must be precious little room for her poor, withered soul to even move. The world hates her and it hates her because she’s is an incredibly terrible person. That’s the idea, paramount and scrawled in huge, gleaming, neon lights that greets her awareness as she wakes each day. Odder still is the fact that to my knowledge, she’s never really DONE anything to ANYONE. She’s the most unobtrusive person you can possibly imagine. She has always kept quietly to herself and if anyone has any negative emotions about her at all it’s probably simply that she’s TOO quiet and assumed to be too snobbish to associate with people. Ironically, the only person that I know of who has any real right to think poorly of her is me. If you’ve read my brief but consternation-filled autobiography, you no doubt remember that my upbringing was anything but featherbeds and warm hugs but I don’t hold any of that against her. She did what she thought was best in her own rather misinformed way. We all screw up. Whatever. I’m a better person for it. Let’s move on. Somehow though the threads of her negative emotions have tangled themselves into a gordian knot that I’m not sure anyone can unravel. To wax physiological for a moment, her prolonged negative emotions have skewed her brain chemistry to the point that her current state is the new and permanent norm. If I thought I could actually fix this, even a little, I would do so. Nobody deserves to stew like this in their own dark thoughts but I’m not sure I have a ladle big enough to extract someone from 50 years of self-inflicted loathing.